Richard Ricci (born April 9, 1942) grew up in St. Paul. His father, Frank played banjo, guitar, mouth harp, and sang in a group called Frankie and the Drifters. The group played songs such as “Oh My Papa” by Eddie Fisher. His dad’s cousin was Louie Bellson, a popular drummer. After graduating in May, 1960 (St. Paul Johnson High School), Richard went to work for the Minnesota State Highway Department where he met Chris Gimetz and his brother Dennis. Their father was Trudy Gimetz who owned five nightclubs in Minneapolis and St. Paul. Richard and Chris started singing together and met Bill who was also a singer. Richard, Chris, and Bill started up a group called the Jades using backup musicians for their jobs. In 1961, Richard met Tim from Tim and the Galaxies at the Prom Ballroom in St. Paul. Danny, from the Galaxies played drums for the jades. Dave (last name unknown) played guitar and Chad (last name unknown) played bass guitar. Bobby (last name unknown) was a relative of the Pillsbury family and played saxophone. Some practice sessions took place at the Pillsbury estate on Lake Minnetonka. The group played popular songs form the era including “In the Still of the Night” by the Platters. They played at roller rinks, bars, and night clubs and also at weddings. At some point Richard meets Danny Stevens of Danny’s Reasons who puts together a group with Richard and two black singers. When the group shows up for some shows they are informed by the club owners they cannot play the jobs due to the group having black members. After a number of cancelled jobs, this group comes to an end. The band plays cover songs by Johnny Cash, Little Richard, Elvis, Chuck Berry, and the Crests (including their hit “16 Candles”). WDGY DJ and local band promoter, Bill Diehl checks out the band and begins getting the group jobs. The band plays jobs at the Prom Center in St. Paul, the Bel-Rae Ballroom in Moundsview, Wakota Arena in South St. Paul, the Dafari Club in Mendota Heights, Proache’s Popular Ballroom in Ellsworth, Wisconsin, and Woodley Country Dam near Amery, Wisconsin. Some of the band members paid a visit to the Crystal Coliseum in Crystal, a roller rink that was also booking live rock bands, however they observe a number of fights taking place at the venue and decide not to play there. Sometime around 1963, Wally Todd left the band to move to Woodland Hills, California due to his father’s decision to relocate his successful zipper business from Edina to the West Coast. Tony Perronteau joins the group on lead guitar. Tony is also a songwriter. Les Swenson left the band and Dean _________ joined the group on bass guitar. 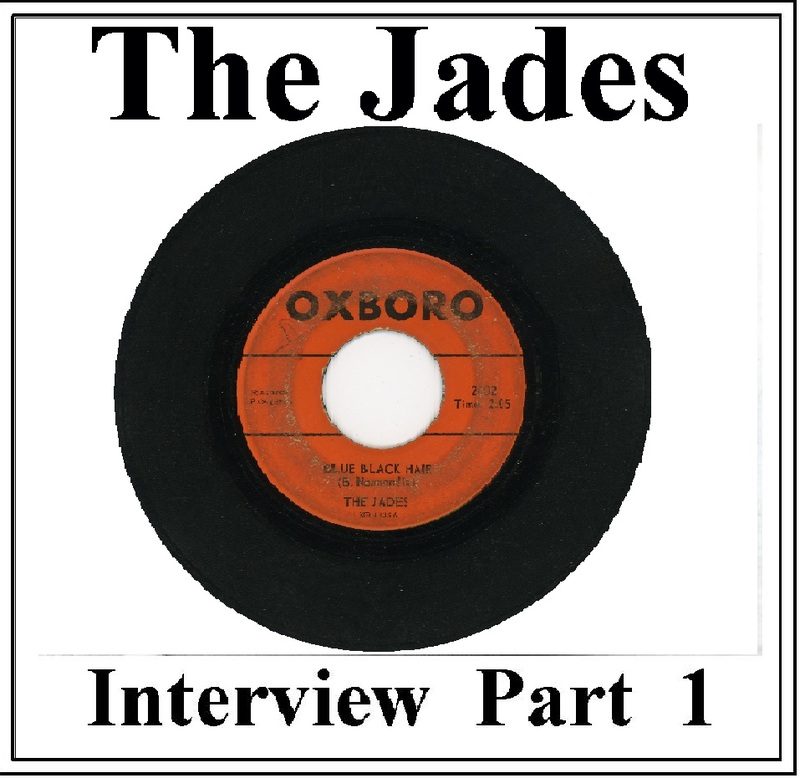 In February, 1964, the Jades record their first 45 with David Hersk (engineer and producer) who is the owner of Gaity Records. David Hersk was renting the auditorium at the Calhoun Beach Club on West Lake Street which he used as his recording studio. Side A: “Blue Black Hair” written by Bill Normandin. Richard Ricci was the lead singer. Side B: “Surfin’ Crow” a surf style instrumental (inspired by the Trashmen’s recording of “Surfin’ Bird”) written by Tony Perronteau. Richard Ricci adds the one vocal line at the end of the song stating the title of the song. The 45 gets airplay on the local Top-40 radio stations (WDGY and KDWB). With the arrival of the Beatles in the United States (first appearance was in February, 1964 performing on the highly popular Ed Sullivan Show) the Jades wear Beatle wigs and add a number of Beatles songs to their set list. The Jades perform at Adolph’s in Robbinsdale. The Jades are on the bill at a Battle of the Bands held at Aldrich Arena on White Bear Avenue in St. Paul. At some point in time, the two songs on the Gaity 45 are released on the Oxboro label. 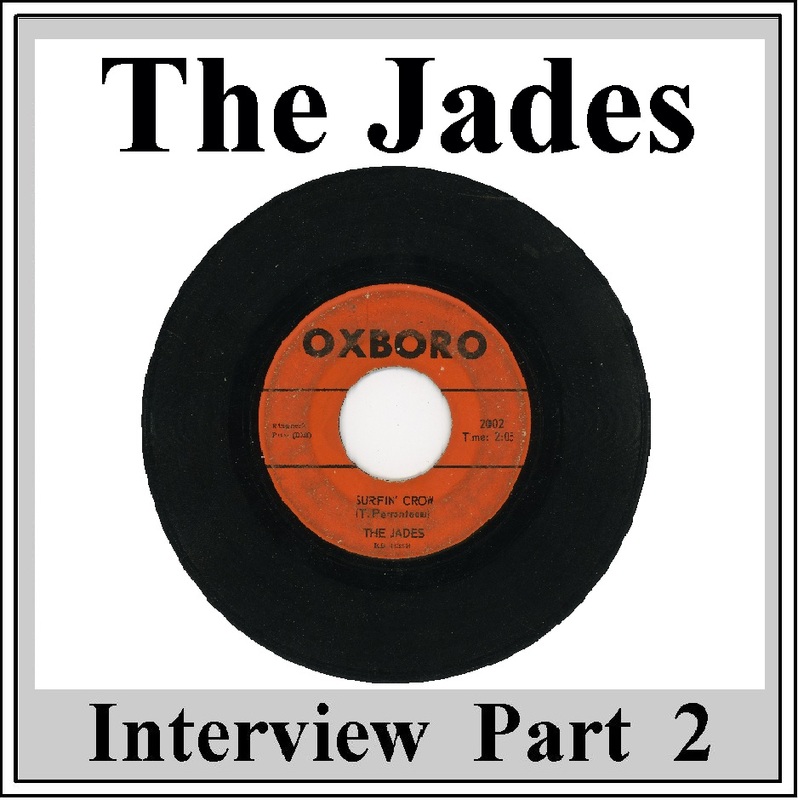 A few months after their first recording session, the Jades go back to the studio, this time to Kay Bank, and record two more songs. This 45 is released on the Oxboro label. Side A: “Little Marlene” written by Tony Perronteau. Richard Ricci on lead vocals. Side B: “Shake Baby Shake” was a cover song written and recorded by Jesse Lee Turner from Texas in 1958. The song was the B side to “Little Space Girl” on the Carlton label. The A side was in the Billboard Top 20 in 1959. Richard Ricci on lead vocals. In June, 1964, Richard graduated from the University of Minnesota and went to work as a Sales Manager Trainee for JC Penny’s department store. The Jades came to an end. In 1965, Richard moved to Crystal Lake, Illinois and was working for Vintage Soft Water Company. All rights reserved. No portion of this web page can be used without permission. Richard is living in Lake Zurich, Illinois and is working for Vintage Soft Water Company. Richard Ricci: No longer active in music. Living in Lake Zurich, IL. Tony Perronteau: Passed away at age 74. Tony was living in Spring Lake Park, Minnesota at the time. Bill Normandin: Passed away at age 73 on May 14, 2016. Bill was living in South Minneapolis at the time.